By adopting big data analytics, publishers can gain insight into the current and future preferences of their customers. Up until the digital era, publishers had a relatively small amount of information available to gain insights about their customers, relying entirely on physical sales data, polls and surveys. Then the Internet, eBooks and eReaders such as Amazon’s Kindle revolutionized the market, breaking through the barriers of physical distribution and generating masses of consumer data. The major eBook publishers of today have the advantage of leveraging technologies and big data analytics to eliminate much of the guesswork when rethinking their business models and adjusting marketing campaigns. However, even with modern advanced tools, eBook sales are declining. 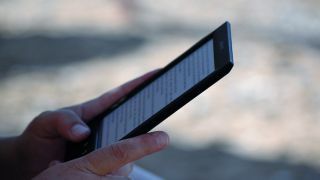 A decade after the launch of Amazon Kindle, it seems the future of eBooks is in danger as consumers turn back to print, or prefer to listen to audio books. PubTrack Digital, part of the NPD book group that aggregates sales data from over 450 publishers, released recent figures showing that unit sales of traditionally published e-books fell by 10% in 2017, compared to 2016. E-book unit sales totaled 162 million last year, down from 180 million units in 2016. Print book sales showed modest growth in the US in 2017, rising almost 2% in terms of unit sales, NPD Bookscan revealed. The trend is even more visible in Europe. For instance, UK sales of consumer e-books fell by 17% to £204m last year, the lowest level since 2011. So, can big data analytics and data-driven decisions help save the eBook market or is the Kindle dwindle impossible to prevent? Historically, it is advertising revenue that the publishing industry has heavily relied on. Consequently, publishers primarily collected audience information that offered value to their advertisers, not to their readers. However, now that subscription revenue has grown to half or more of total revenue for publishers, the rules have changed and the return on audience analytics has increased significantly. This wealth of available information leads publishers to rely on big data analytics for success in publishing. As mentioned earlier, publishers now have access to an arsenal of tools that were previously unavailable. Big data analytics enables them to collect, organize, and index data from a range of sources and identify opportunities for more efficient operation. It's important to note that big data means much more than simply large amounts of information, as it also covers data derived from multiple sources that are often structured differently from each other. These segments can be continuously tailored and updated using real-time data about consumer behavior. In addition to providing detailed information about who their readers are, these complex analytics tools also offer insights into how each person’s reading habits may change in the future, thereby creating an incredible ability to retain customers over the long term. When leveraged correctly, the ROI from this data is extremely high for both publishers and advertisers. In fact, major eBook platforms collect much more than sales statistics. This is where reader analytics tools come into play, allowing publishers to go deep into details and utilize information about consumer reading habits. Today's technologies allow publishers to gather data about how long it took a consumer to read a book, the points at which they stopped reading, how many pages they read, and the specific passages that a customer highlighted or bookmarked. The insights derived from this data are incredibly useful, providing a massive amount of invaluable detail to make better-informed business decisions and increase sales. Imagine being able to accurately forecast what your customers will desire in the future, know about future market trends and reduce business risks in advance. Well, thanks to predictive analytics, this is now feasible for publishers. Used to identify meaningful patterns that exist in big data to intelligently predict the direction that consumer preferences will go, these analytics tools are game-changers in the publishing industry. By allowing companies to adjust plans based on the likelihood of gaining traction with their customer base in the future, predictive analytics can significantly strengthen audience engagement. Surprisingly, even though Amazon launched the Kindle a decade ago, most publishers continue to earn the majority of their consumer revenue from physical books. Neither technological innovations nor integration of big data analytics have changed the situation. Why is this the case? One of the reasons is that detailed data analytics from eBook readers are only available for major eBook retail platforms owned by powerful tech companies, such as Amazon (Kindle), Apple (iBooks), and Google (Play Books). Self-publishers and smaller eBook publishing companies must continue to rely primarily on the sales stats coming from distribution platforms, thereby mostly missing out on the plethora of data available to the larger players. Although some analytics tools allow smaller companies to collect data from eBook readers, their availability and compatibility are extremely limited. Another constraint that could potentially hold back eBook publishers from using big data analytics to maximum advantage is the growing concern over consumer privacy coming from governments, individuals, and advocacy groups. In fact, data from a recent study conducted by the Pew Research Center indicates that half of Americans believe that their personal information is less secure now than it was five years ago, illustrating the lack of public faith in the organizations tasked with protecting their privacy. People now learn how to manage their personal information and protect their privacy online. Anti-tracking and anti-cookie extensions, anonymous browsers and operating systems, VPN and many other tricks significantly complicate data mining and its accuracy for publishers. So, where does this all leave us? Virtually everyone agrees that deep data insights and data-driven solutions are critical for success in today's world. However, many publishing companies are still far behind the major eBook retail platforms when it comes to the availability of these essential tools. To keep up with larger competitors, there is a great need for the creation of tools that can be used by publishers to gain a similar level of insights about the current and future preferences of customers. Big data analytics is the future, and those who lack access to these incredible tools are very likely to be left behind.